Join FFBC and Win Niles Canyon Railway Tickets! 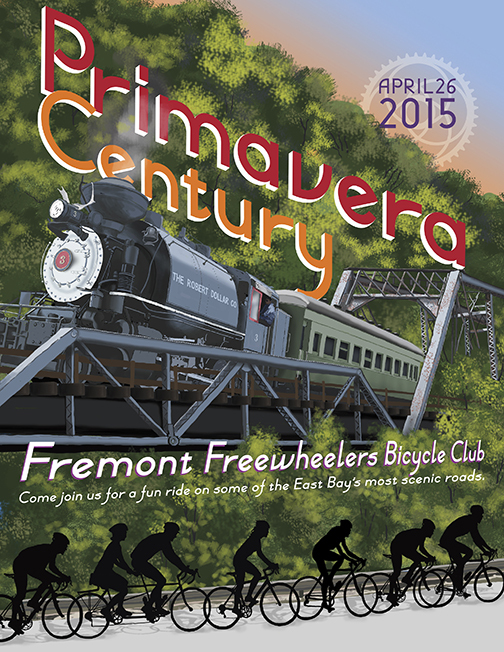 If you’re not yet a member of Fremont Freewheelers Bicycle Club, now there is even more incentive to join the club! If you become a member during the month of April, you have two chances to win two adult round-trip tickets on the Niles Canyon Railway! Enjoy a community of other cyclists, participate in club rides and other events. Click on the FFBC button to join today! The ride sold out in February and there are a lot of people wanting to get a registration. They have posted on Craigslist (SF Bay Area) and that is a good place, along with our Facebook page. You collect your money back from the transferee. Please, no scalping. Transferring is free. Go to https://ffbcprimavera.wordpress.com/transfer/ to fill out a transfer form and for the transferee to get a registration form. The transferee can send it in or simply go to the Transfers line at check-in. We accept faxed or scanned transfer forms. On day of, we will even accept looking at the form on your smart phone. There were a few transfers done electronically that morning last year. The price for all but the fun ride is the same and registration is good for any route. Fun Ride registrations can be upgraded for $45, cash or check. Speaking of checks, it is a good time to check your bike. We will have professional mechanics at registration and each rest stop, but they should be for emergency repairs. This is a good time to get that new chain, tires, brakes, etc. See our sponsor page for excellent shops. If you join FFBC, they offer a 10% discount on most items. Speaking of Niles Canyon Railway, they will be running the same steam engine pulling excursion cars up and down Niles Canyon on Primavera ride day. So, watch for the train while cruising through the canyon. 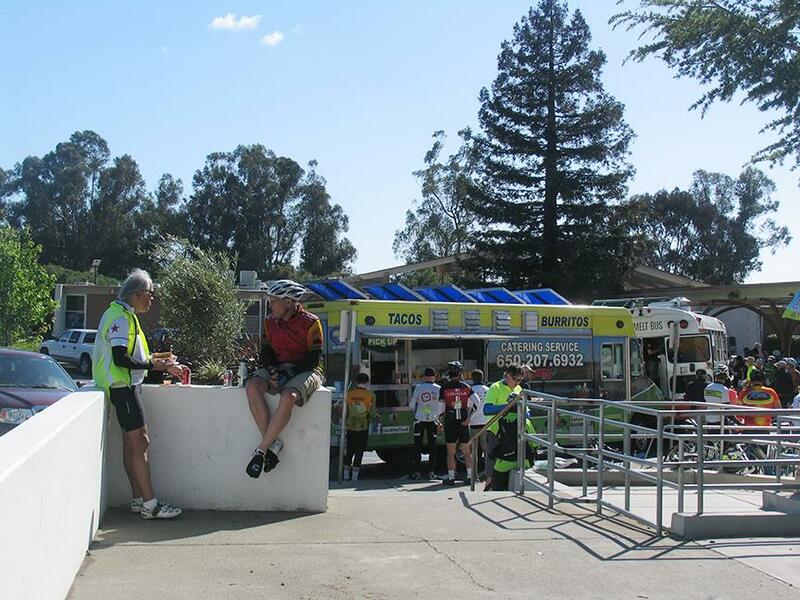 We have adjusted the 100 mile and 100K routes one block so the routes go right past the Sunol Train Station. The 65 and 100 K routes go past the Niles station as well. If the 100 milers don’t mind making it 101 miles, then follow the blue and green arrows at the end of Niles Canyon Road into Niles. There will be photo ops of the Robert Dollar engine at Sunol between 10 and 10:30. The train departs Sunol at 10:30, (back in Sunol around 11:50), 12:30, (back in Sunol around 1:50), and 2:30 (back in Sunol around 3:50). If you have a significant other (or kids), they may want to take the train while you are off riding. Visit http://www.ncry.org/ . Speaking of significant others, they can also have a good time that day by volunteering. Go to http://ffbcprimavera.wordpress.com/volunteers/ to sign up. They get a t-shirt that features the train at the Sunol Station, food, and a couple surprise gifts. With a little planning, they will see you on your travels. Speaking of your travels, the Eagles (the birds, not the group) have been spotted at Calaveras Reservoir. Hopefully you will see them as you ride. There are also red tailed hawks. Speaking of things to see, this year the Wente Road Race will be on the same day. The race course is the same Altamont Loop as the one the 100 milers take from Rios Lovell Winery. This year, for safety, we will be doing the loop in reverse. We will go counterclockwise, while the racers go clockwise. They have a strict centerline rule and must stay on their side of the road. We are asking that people observe the single file rules to provide maximum separation. We also require that our riders obey the Race Marshals. There are three turns where you may be stopped as the peloton comes around the corner. We rode this change and actually prefer doing it in the counterclockwise direction. Your feedback will be requested after the ride to consider making it a permanent change. Speaking of changes, the fun ride will now go all the way to the end of the Alameda Creek Trail in Niles. No more turns to look for and no more overpass with no bike lane. We are adding a water stop at the end of the trail. As of this week, the tree roots on the trail are being cut out and paved over, so it should be a nice smooth ride. Who could ask for more? Speaking of asking, check out the FAQ tab at the website. If you still have questions, write primavera@ffbc.org There will be another set of last minute instructions sent out a week before the ride. If you do not see it, just check the website and a copy will be there. 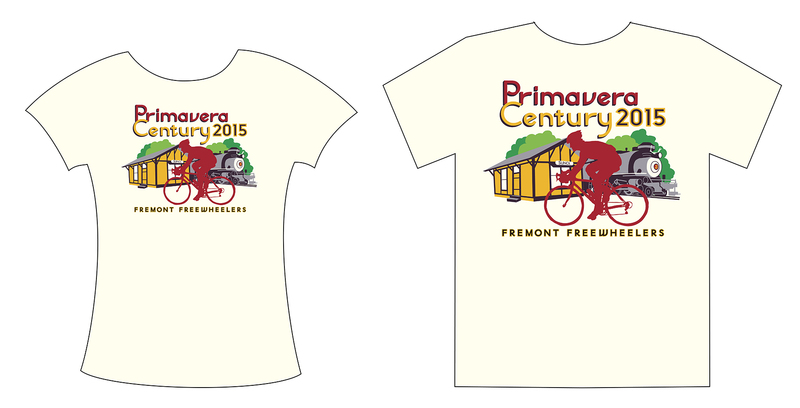 A limited number of the 2015 Primavera T-shirts will be available for purchase on the day of the ride. New for 2015 is that they come in women-specific style and sizes as well as Mens. We think they look great! Price TBD at press time. A limited number of the 2015 Primavera Jerseys as well as Socks, Arm Warmers and the 2014 T-shirts (discounted) will also be available for purchase. Cash or check only. Check out the Gear Tab for more info. Each year, cyclists, hikers and birders eagerly await the return of the bald eagles and their nest along the Calaveras Reservoir stretch of the Calaveras Rd. 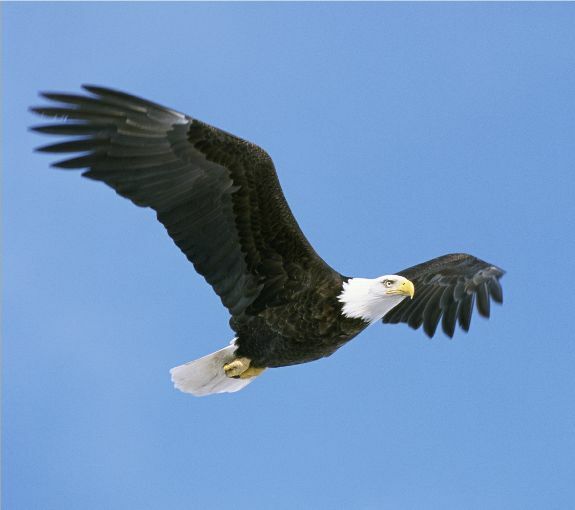 Not to disappoint, the bald eagles and their nest have been spotted on a recent club ride. The eagles and their nest were seen about 2.5 miles past the “Calaveras Wall”, about 16.5 miles from the start of the Primavera route. Be sure to look for them on this year’s Primavera Century Ride. All routes except the Fun Ride will pass by this point on the Calaveras Rd. Popular Food Trucks Return for the 2015 Primavera! Five popular Bay Area food trucks will cater our after-the-ride meals this year. And they’ll have vegetarian options. As before, the meals will be supplemented with drinks and desserts too!